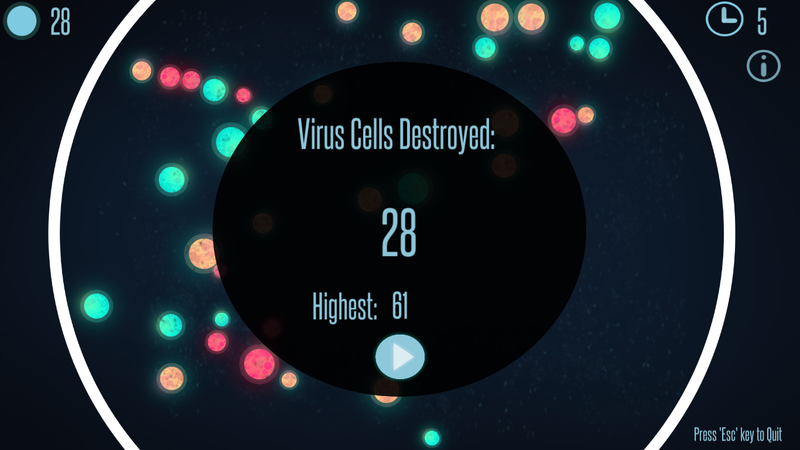 Created within 72 hours for Ludum Dare 37 game jam with the theme "One Room"
There is no room for viruses in your Petri dish! 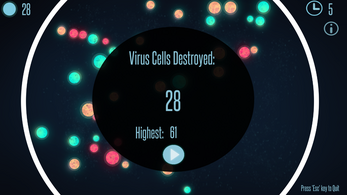 Collide and destroy as many virus cells as you can before the time runs out. Left click to move the Hypercell. You will adapt the color of the cell that you collided with. won't be destroyed upon contact. We hope you'll have fun playing our small game. 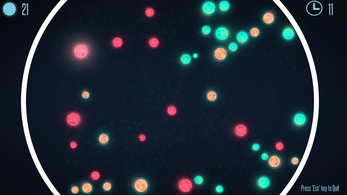 Here is the Ludum Dare page link if you want to rate the game there after you play it, Thanks! I would prefer to move faster. Anyway, this is an interesting idea.